This is the configuration of the International Space Station as of Oct. 27. 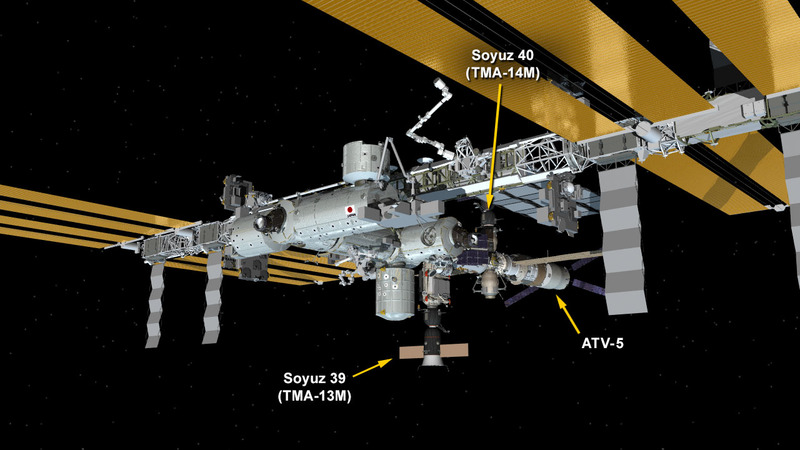 There are three spacecraft docked including two Soyuz spacecraft and Europe’s ATV-5. 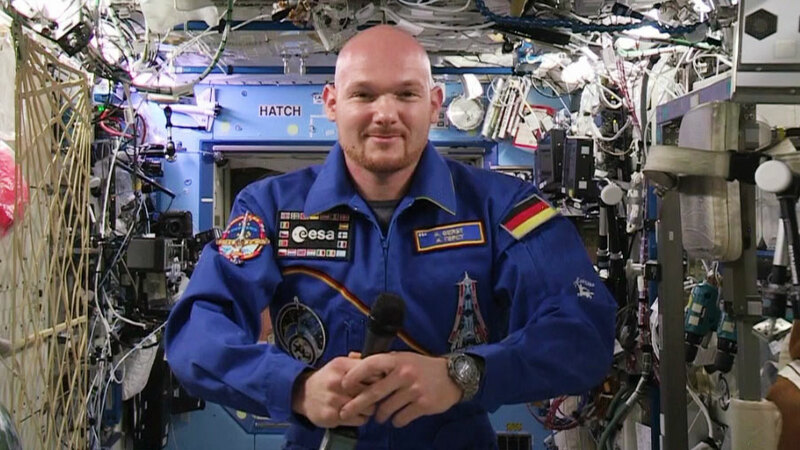 The International Space Station saw a pair of space freighters leave while two more resupply ships were moved to their launch site waiting for liftoff this week. Europe’s Automated Transfer Vehicle-5 fired its engines this afternoon to move the station away from a possible conjunction with some satellite debris. Meanwhile, the six member Expedition 41 crew is moving right along with station housekeeping and an array of advanced science to improve life on Earth and in space. Astronauts Reid Wiseman and Alexander Gerst drew their blood samples Monday. Barry Wilmore stowed a pair of U.S. spacesuits. Elena Serova, Russia’s first female cosmonaut aboard the station, sampled surfaces in the Russian segment for microbes and worked on a physics experiment. Cosmonauts Max Suraev and Alexander Samokutyaev trained on rendezvous gear in advance of Wednesday’s arrival of the ISS Progress 57 resupply ship. This series of images, captured by cameras on the International Space Station (ISS) show the departure from the station of SpaceX’s Dragon cargo spacecraft. 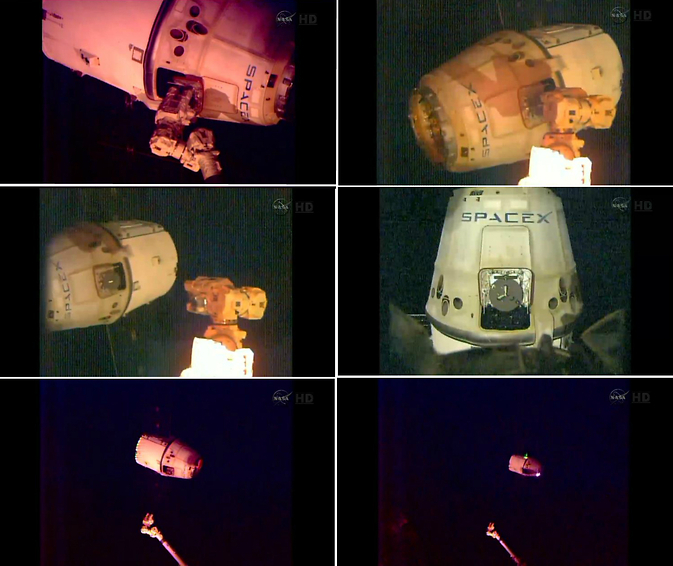 The SpaceX Dragon cargo spacecraft was released from the International Space Station’s robotic arm at 9:57 a.m. EDT. 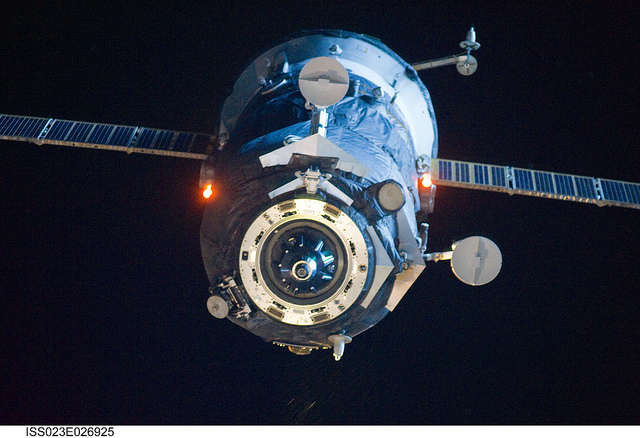 The capsule will begin a series of departure burns and maneuvers to move beyond the 656-foot (200-meter) “keep out sphere” around the station and begin its return trip to Earth. The capsule is currently scheduled to splashdown in the Pacific Ocean at 3:39 p.m., about 265 miles west of the Baja peninsula. 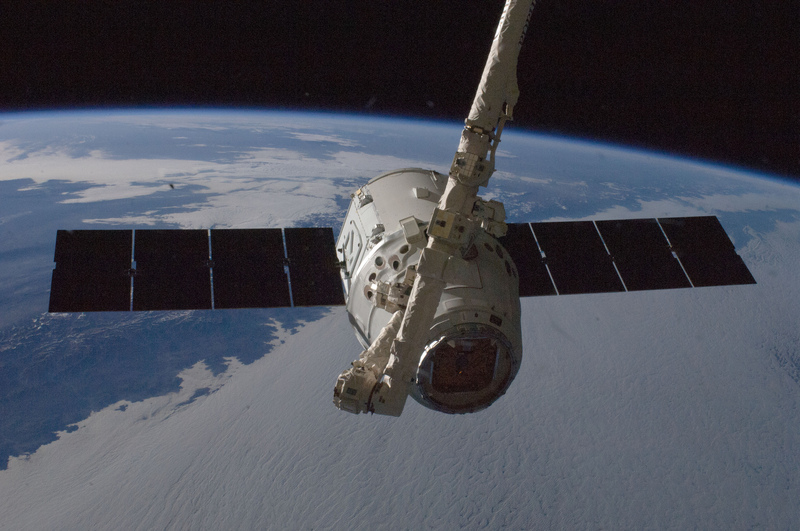 NASA Television will provide live coverage of the departure of the SpaceX Dragon spacecraft from the International Space Station beginning at 9:30 a.m. EDT. 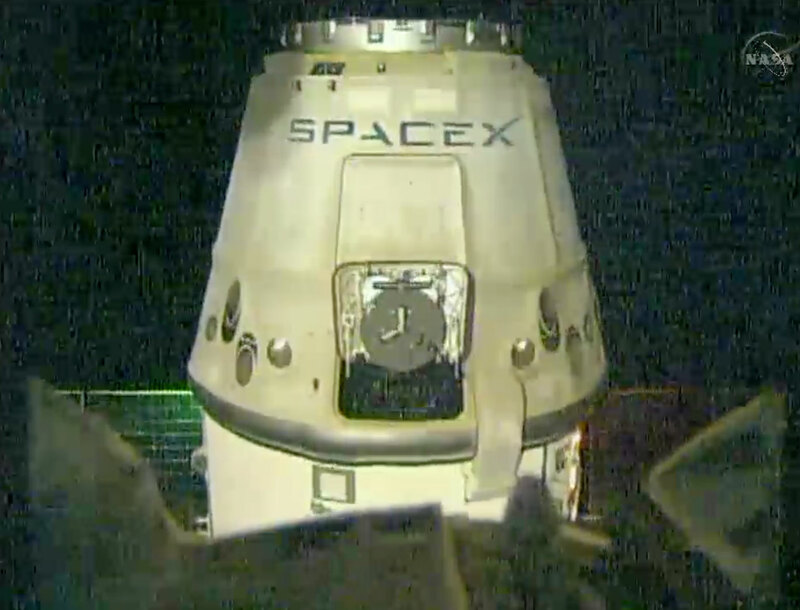 Dragon was detached from the Earth-facing side of the station’s Harmony module earlier this morning. 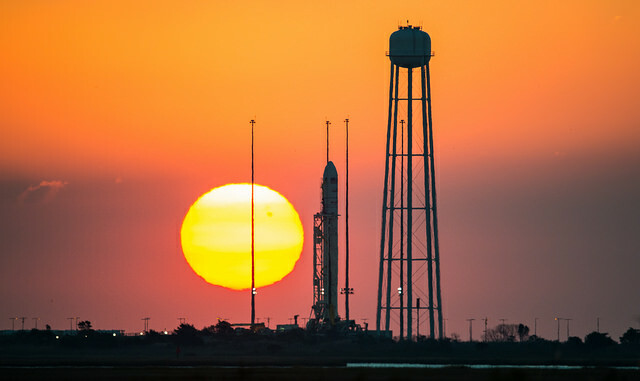 Mission control will maneuver Dragon into place then turn it over to Expedition 41 robotic arm operators Reid Wiseman and Barry Wilmore of NASA for release, scheduled for approximately 9:57 a.m. The Dragon arrived to the space station Sept. 23 after a Sept. 21 launch from Cape Canaveral Air Force Station in Florida carrying almost 5,000 pounds of supplies and elements to support 255 scientific investigations the crew members of Expeditions 41 and 42 will conduct. Release of the spacecraft by the station’s robotic arm will begin the Dragon’s return to Earth carrying more than 3,276 pounds of NASA cargo and science samples from human research, biology and biotechnology studies, physical science investigations and education activities sponsored by NASA and the Center for the Advancement of Science in Space, the nonprofit organization responsible for managing research aboard the U.S. national laboratory portion of the space station. The capsule is currently scheduled to splashdown in the Pacific Ocean about 3:39 p.m., approximately 265 miles west of the Baja peninsula. Cosmonauts Max Suraev and Alexander Samokutyaev are working on their Russian Orlan spacesuits after Wednesday’s three-hour, 38-minute spacewalk. Elena Serova, Russia’s first female cosmonaut to live and work aboard the International Space Station, worked maintenance, checked the station’s air and collected radiation readings. 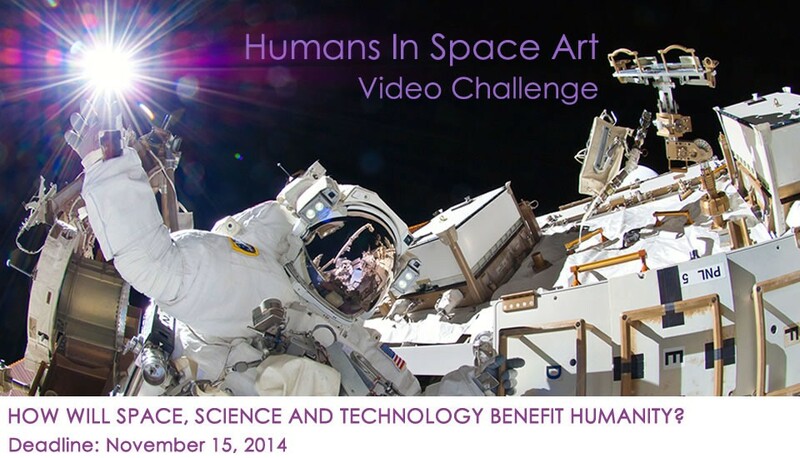 Astronauts Reid Wiseman and Alexander Gerst took turns Thursday scanning each other’s eyes with an Ultrasound. NASA astronaut Barry Wilmore checked out a hardware and control panel that will be used to communicate with the Cygnus private space freighter after it launches Oct. 27.